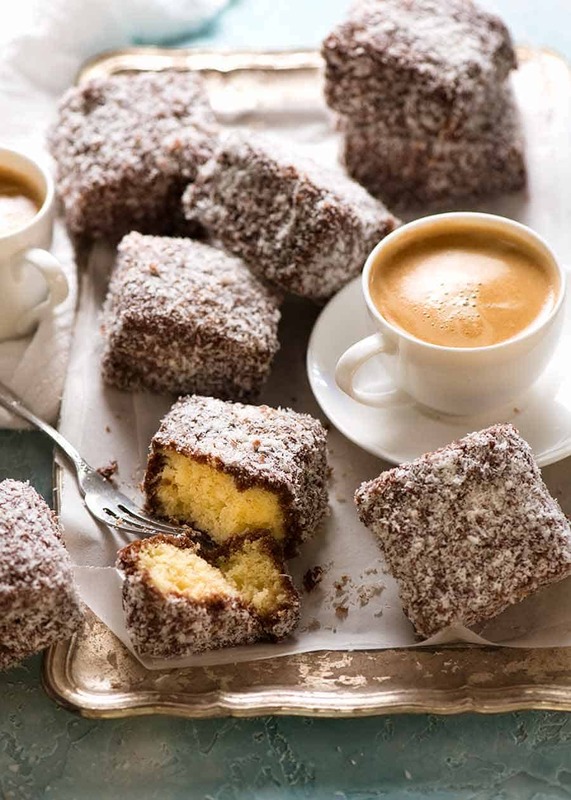 There is no cake more Australian than Lamingtons! A moist butter sponge dipped in chocolate then coated with coconut, this is The Cake sold at every suburban bakery and weekend fundraisers. A soft buttery sponge cake coated all over with chocolate icing and coconut. Even if you’ve never heard of these before, you just know it’s going to be good. We Aussies know great tucker – and this is as Aussie as it gets!! (OK, well, along with Pavs, Sausage Rolls, Party Pies, weekend sausage sizzles and Sunday Roast Lamb). 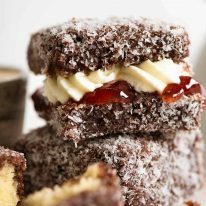 Lamingtons are one of those cakes that are deceptively difficult unless you’ve been let in on one big secret tip that make all the difference. The first few times I made Lamingtons involved screeches of frustration and foot stomping.😤 I emerged on the other side looking like I’d been in a mud-wrestle with a plate of something that barely resembled the neat squares you see in this post. The challenge is this: The sponge has to be tender and moist enough to eat plain, but trying to roll such a delicate cake in icing is a disaster. The cake crumbles into the icing, making it thicker and impossible to work with. And once the crumbling begins, imagine the mess when you try to roll it in coconut. The solution offered by traditional recipes is to leave the cake out overnight, essentially letting the outside become a bit stale so it’s easier to handle. 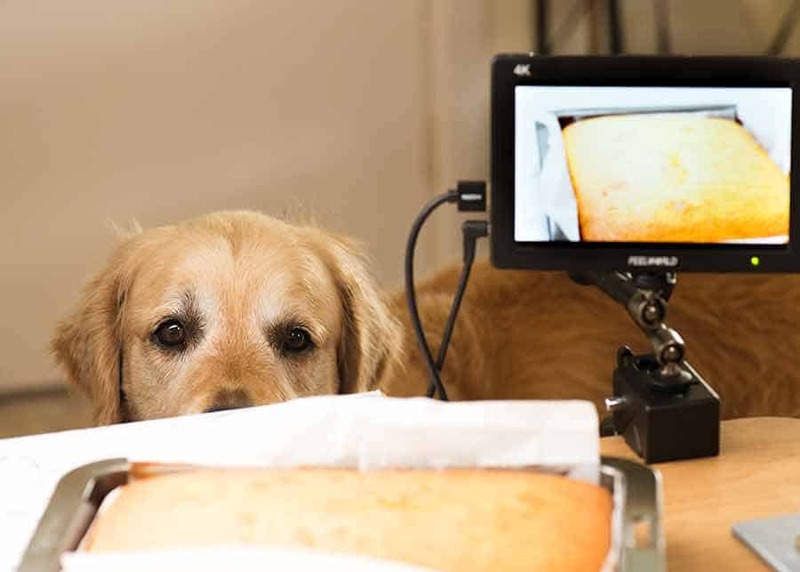 This works pretty well – but the cake is a bit drier than ideal. It’s even easier to handle for coating, and the bonus is that the cake stays fresh and moist – no need to leave it out to dry out! This will change your Lamington Life forever. If you freeze the cake before rolling, making Lamingtons is actually quite straightforward. A buttery vanilla sponge cake, cut into pieces, roll in icing, coat in coconut. The sponge cake is a terrific recipe that I use as a base for other recipes (strangely, none that I’ve shared here – yet). Simply made with pantry staples, the unique thing about this vanilla sponge is how it’s made: creaming the butter, sugar and eggs, then folding through the flour with a light touch so the sponge comes out tender. Do Lamingtons have jam and cream? 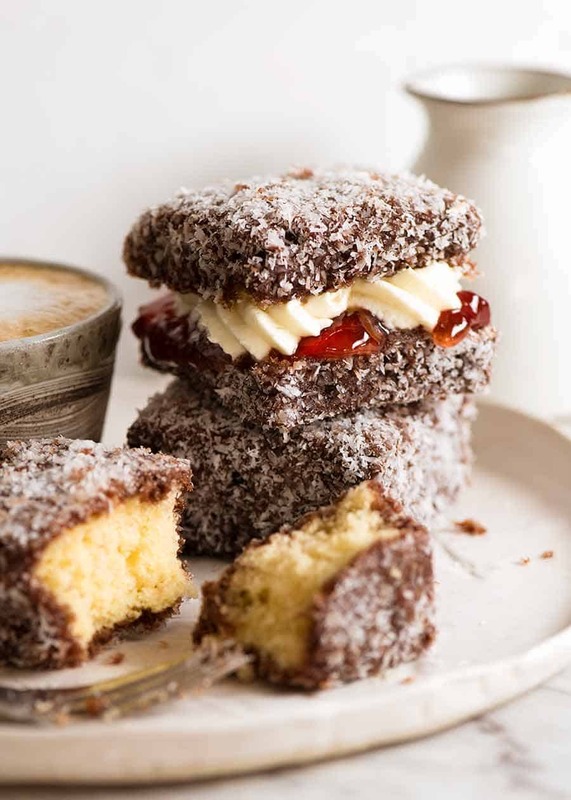 Classic Lamingtons made the traditional old-school way do not have jam or cream sandwiched in the middle. 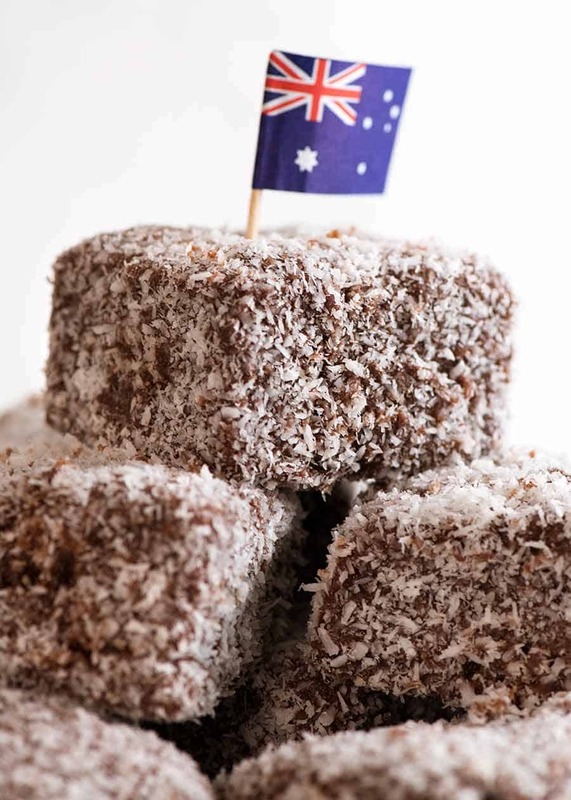 But you’ll come across many Aussies who won’t have Lamingtons any other way (some RecipeTin family members included). My view – Lamingtons should stand as a great cake without any filling. Jam and cream is optional – it should make it over the top good! 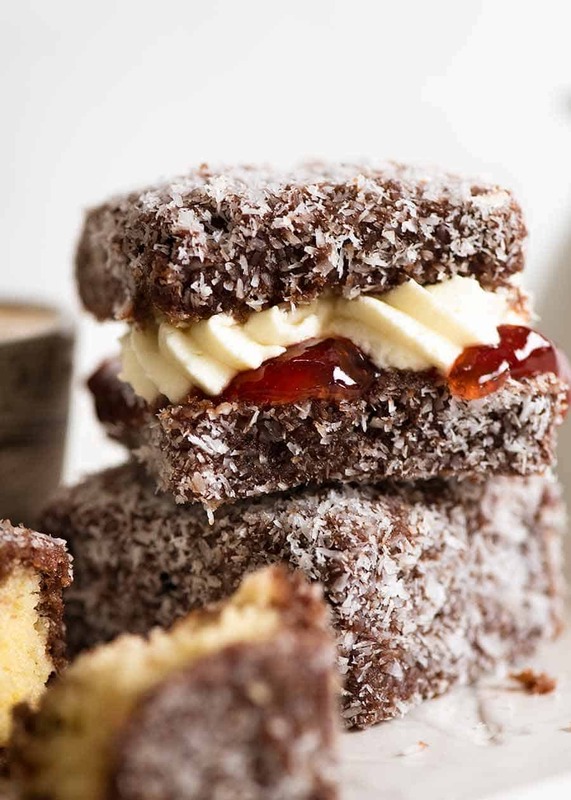 If you’re a Lamington fan, I think you’ll approve of this recipe! The butter cake is moist, tender and buttery. The chocolate coating is thick enough so you get a great hit of chocolate, but thin enough so it soaks into the sponge, a sticky enough to glue on plenty of coconut. PS You’ll make a mess. And that’s totally ok. Because it’s part of the great Aussie tradition that you get coconut “everywhere” when you’re making them and eating them! Browse ideas for Australia Day feasting! Sausage Rolls – Juicy pork filling encased in puff pastry. We think ours rivals Bourke St Bakery! Scones – One of the best things the English brought to our shores! Caramel Slice – chocolate, caramel and shortbread. Home run! Sunday Roast Lamb with Gravy – also try this amazing Slow Roasted Leg of Lamb! Big bucket of fresh cooked prawns with dipping sauces – a summer favourite! Browse the Australia Day recipes collection! Recipe video above. 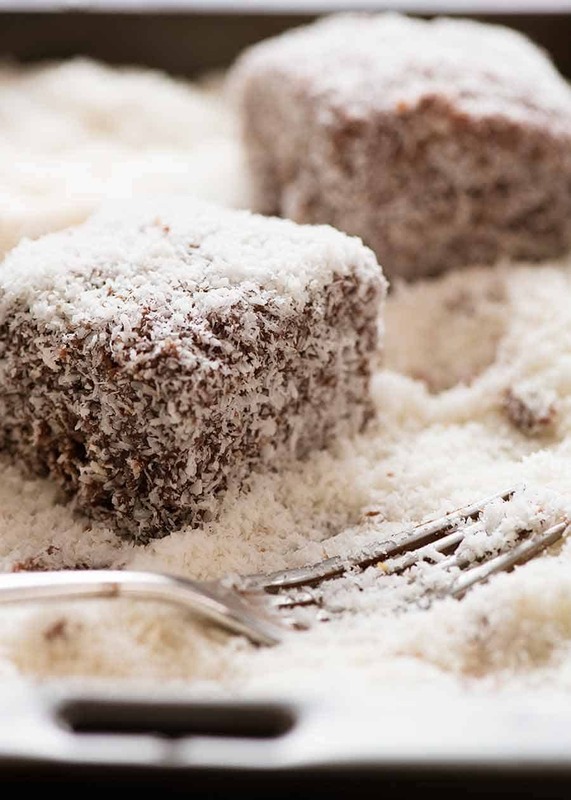 There is no cake more Australian than the Lamington! The sponge in this recipe is buttery and moist, generously coated in chocolate and coconut. Sandwiching with jam and cream is optional - takes it over the top, but it's great without. KEY TIP: Freeze the sponge before coating - read Note 2. Preheat oven to 180C/350F (or fan forced 160C/320F). Grease a 20 cm x 30 cm / 8" x 12" cake pan. Line with baking paper (parchment paper), leaving an overhang on all sides (to make it easy to remove). 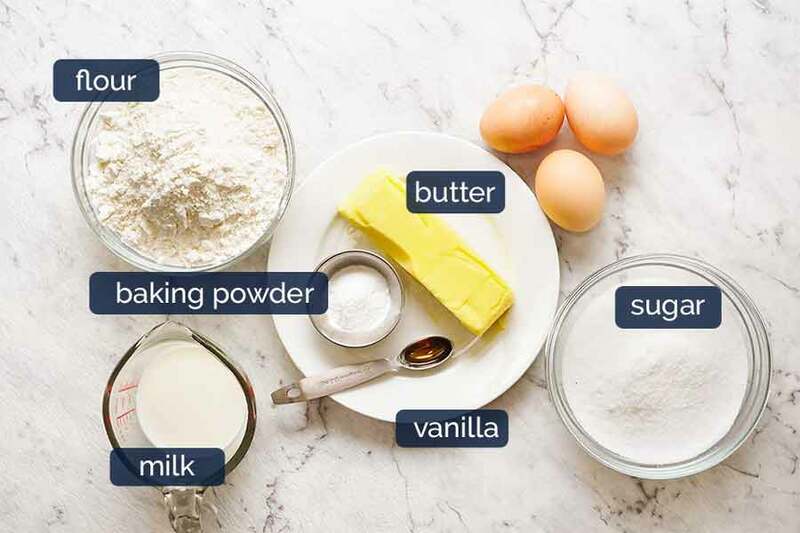 Beat butter, sugar and vanilla with an electric mixer on medium high speed until light and fluffy - about 1 1/2 to 2 minutes. Add eggs 1 at a time, beating well after each addition so the batter is smooth, not curdled. Add half the flour and gently fold to combine, then stir in half the milk. Repeat with remaining flour and milk. Pour the batter into the prepared pan and bake for 25 minutes until a skewer inserted into the centre comes out clean. Stand for 5 minutes then use the overhang baking paper to lift the cake out onto a wire rack and cool completely. Place coconut in a shallow bowl or pan with a largish surface area (Note 3). 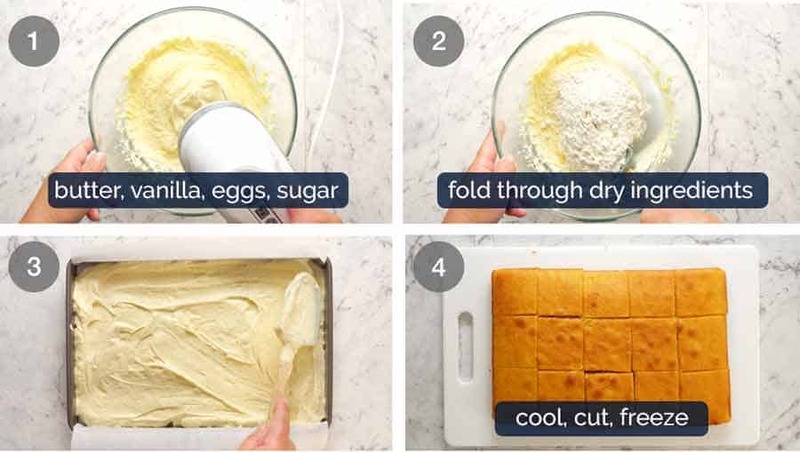 Place a piece of cake in the icing and roll to coat using 2 forks. Transfer it into the coconut and quickly roll to coat all over in coconut. Transfer to tray. Stand for 1 to 2 hours, or until set. Then serve with tea and coffee! Beat cream and sugar until firm peaks form. Cut coated Lamington in half horizontally. Spread with jam then pipe or dollop on cream. Top with lid, keep refrigerated. 1. Flour - Use either 1 3/4 cups (260g) self raising flour, or 1 3/4 cups (260g) plain flour + baking powder. The extra 3 tsp of baking powder doesn't affect the recipe, I make it both ways. 2. 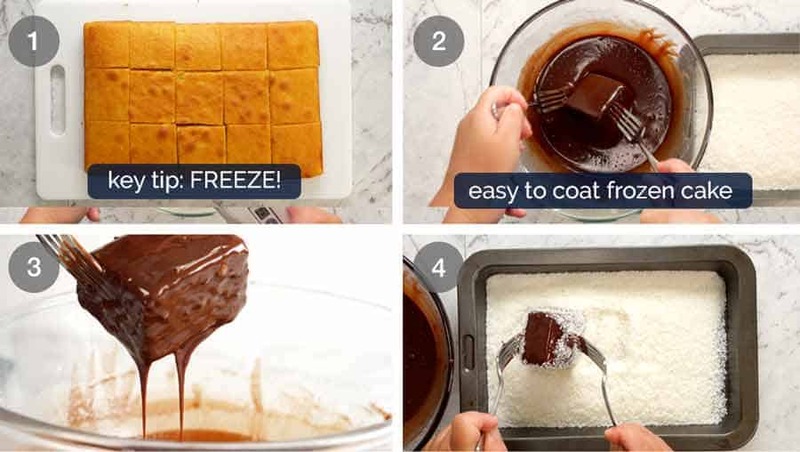 Freezing / coating: Trying to coat a freshly cooked cake doesn't work, it just crumbles into the chocolate and makes a mess. The easiest way to coat the Lamingtons is as follows: cut into pieces and freeze for 1 hour just prior to coating. The frozen cake is much easier to handle for the dipping / coconut coating steps. Bonus: The cake stays more moist than traditional recipes that call for the cake to be left out overnight to dry out so it's easier to handle to coat in chocolate and coconut. 3. Chocolate icing needs to be thick enough so the coconut will stick, but thin enough so the cake can be easily rolled in it. It thickens as it cools, making it harder to work with. If this happens, just microwave for 20 seconds to loosen it up (or set it over a saucepan with boiling water). 3. Coconut bowl - use a shallow one with a larger surface area, easier to roll cake around. No cream: Store in airtight container for 3 to 4 days, or freeze for 2 - 3 months then thaw before serving. Cream: Store in refrigerator for 2 to 3 days. You think it’s hard making recipe videos? Trying make them with THIS in your line of sight…. Can i keep the icing overnight? Hi Nagi, thanks for this recipe and the tip re freezing is just genius as I’ve been so frustrated with the messy coating part. I think your recipe steps has missed the baking powder though (it’s listed in the ingredients)? This recipe sounds amazing. I’m thinking about making it for my dad for his birthday but I have a question. Can a Lamington be made with vanilla icing instead of chocolate? I ask because my dad loves coconut cake but prefers to have vanilla icing rather than chocolate. I’m so glad you loved them! Sounds like maybe the icing needed more icing sugar, although they don’t really set hard – it’s more just a coating. This may be the reason. I did put less icing sugar as I just couldn’t bring myself to pour 4 CUPS of icing sugar. Anyways, my friends (Australian) haven’t stopped talking about it, they were really yum. Thanks Nagi for such a great recipe. My child did a school project on Australia and wanted to bring a taste of it, too. It’s an easy to follow recipe and the way I sliced the cake, it was more than enough for snack size bites… by the way these are are high schoolers and they LOVED the Lamingtons. I’ll be making Lamingtons again for sure. I am a Yank from the state of Oklahoma. I have an Aussie friend who lives in Adelaide. She asked me if I had ever heard of Lamingtons. She said they were wonderful. She was absolutely right. I love the cake without the coating, but that’s not a Lamington, of course. I was very pleased with your recipe. The freezing part was genius. One more recipe in my arsenal of sweets. I think this is my favorite dessert of all time! Hi there. I’ve tried a few of your recipes and most came out well. For the lamingtons, they turned out very good but I think the icing is too sweet with almost 500 g of sugar. Next time I’ll cut that amount by, I guess, half. Take care. Love your recipes. I am so delighted to see your receipe as we had tried it when my husband & I were holidaying in AU and my husband love lamington cakes. Tks so mich for sharing ! I have just made the butter cake but have no time to coat them yet. Is it possible to freeze the cake overnight ( and you do mean freeze as in the ice box section right?) and do the chocolate & coconut coating the next day ? My hubby & my’s granddaughter very & very love that cake but I don’ t know how to made cream then put inside because they love cream with strawberry 🍓 jam , can u teach me , please . Nagi, these lamingtons are fabulous. We made them for Australia Day and my kids said they were the best lamingtons ever! I gave up making lamingtons ages ago because of the mess when covering them in chocolate, but your idea of freezing the cake is genius. Once again, thank you for a wonderful recipe!! You’re so welcome Dianne, I’m glad they were a hit! Nagi, I made this last night. My family and friends absolutely loved it. They asked for seconds 🙂 . Thank you! Your coconut looks so fine, here it is quite course..
Just made the Blubery Pancakes. I didn’t have enough plain flour or milk, so I substituted. I used stone ground wholemeal flour and powdered milk. They are just delicious. Wholely molely, I have just made these with my Hubbie helping with the coconut rolling. These are fabulous! 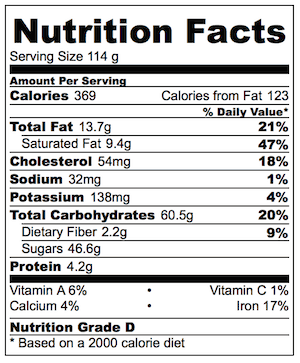 Question: I see you used unsalted butter and no salt in the ingredient list is this correct? Looks delicious but will wait to hear from you before making. I have made lamingtons before but none of them compare with these. AMAZING is all I can say. And the tip of freezing the pieces prior to dipping is genius and worked brilliantly. This will be added to the regular rotation of sweets taken to others places. Thanks again Nagi for another satisfying recipe. Yummo! Thanks for the recipe Nagi – have been looking for the perfect lamination, and this might be getting close. Made them for Australia Day with my daughter. Freezer tip worked well! YUMI! Made 1000 and 1000 ‘s of them when working with kids. We used only rasbperry jam no cream.for icing INSTAD water used milk because kids need nourishment. Love Dozer giving you hard time. Next month for the first time Vouncil will have one day animals for adoption. Am thinking getting kitten ……. Uh toilet training vs carpet vs the STUPED HEAT WAVE. WE HAD 43 C STINKER. OK, HAVE LOVELY W/ end. Me back to kitchen. Dear neighbour came with apricots at : 07.15 AM and they were hot and soft. Also got some purple and green beans. Will make salad with tomatoes, potatoes bit onion, olives and bacon. Could NOT eat the other day it was so hot. I was down in Melbourne over the weekend and on Friday it was 42C!!!! CRAZY HOT! I was dying!! !